... is that it really eats up my 'me time'! As I have mentioned previously, I have returned into the classroom, teaching 6-8y olds - a challenge in itself you could say, and especially so when it's my first time teaching at this level. There are many things I enjoy - letters and pictures that say "you're the best teacher", hugs from students when they race into the classroom in the morning, an "ohh" when you tell them you'll be away the next day - it really is all about relationships. The learning happens when relationships are in place, and I am very proud of the progress they have made. However, it does come at a price, it impacts on time with family, on time spending online in my area of passion, teacher PLD, and especially it affects the time I have to be creative myself - and to blog about it! Every now and then I have put an image up on Instagram, feel free to check out my posts here. 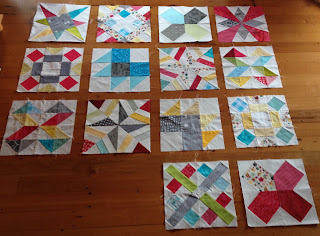 While we have learnt a lot about what NOT to do when deciding on a feature fabric for a block exchange sampler quilt (wow, there's a mouthful!) as Suz has written about here, I am really pleased how it is all starting to go together. 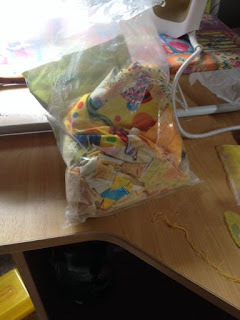 I can see though that I'm starting to run out of sizeable pieces in some colours, so when budget allows I will have to go back and by more yellows and reds I think. 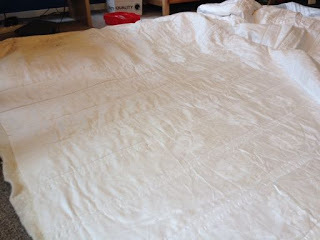 I have also sandwiched the damask whole cloth quilt (damask from MiL's hope chest) and started the straight-line quilting. It's been sitting there for a little while, would be great to get it completed these school holidays. 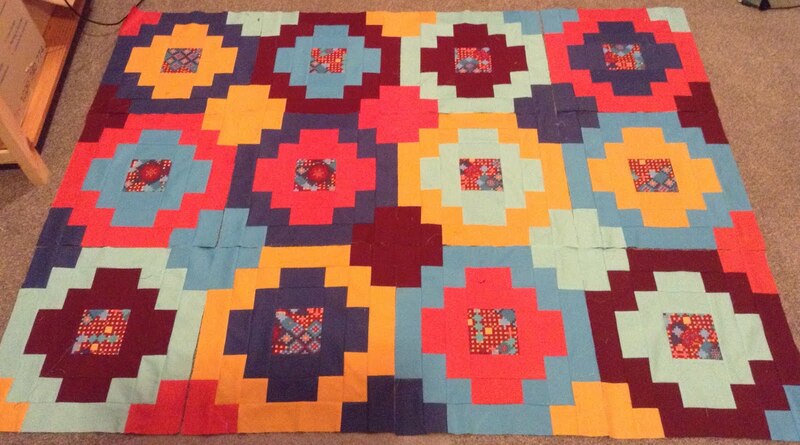 DH has complained for quite some time that I haven't been making any 'arty' quilts but I wasn't in the right headspace. 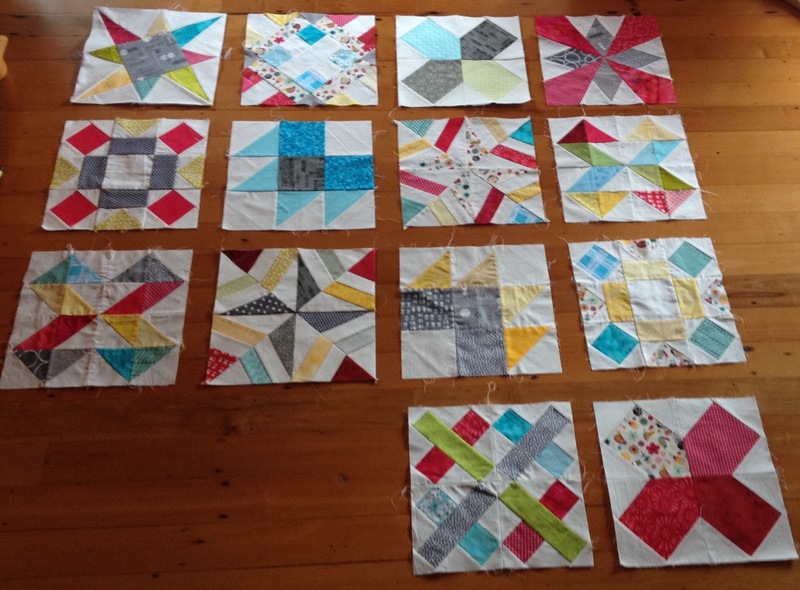 The inspirational Charlotte got a group of us together to encourage each other with entering Aotearoa Quilters challenges, so this might get me back into it? I am interested in entering both the yellow and the floral challenges, but I haven't found the right inspiration(s) just yet. 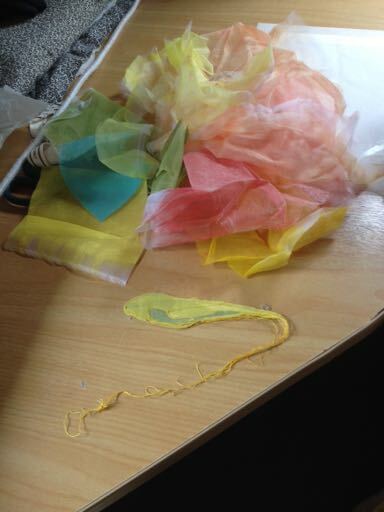 Should I play with silks? I'm glad there are two weeks of holidays to help me get my creative fix - might keep me going for the next 9 weeks of term time? How do you keep yourself going when time is scarce?